PPG Project in Toul Thnong village - Kleine Hilfsaktion e.V. The family has been living in the village of Toul Thnong for over 10 years. 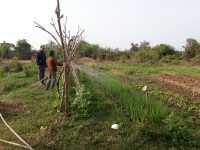 The family owns their own land, where they grow different types of vegetables for consumption and sale. However, the own income is not sufficient to be supplied throughout the year. In addition, she works on farms in the area. They do not have a good relationship with the families in the neighborhood. How much land does the family own (total), how many m2is the garden and how many m3 the pond? How has the family been impacted by the PPG project: financial, social, food & water security, etc.? – Social behavior, interpersonal relationships were created and deepened. The living conditions and, above all, the health of every single member of the family have been greatly improved by the PPG project. 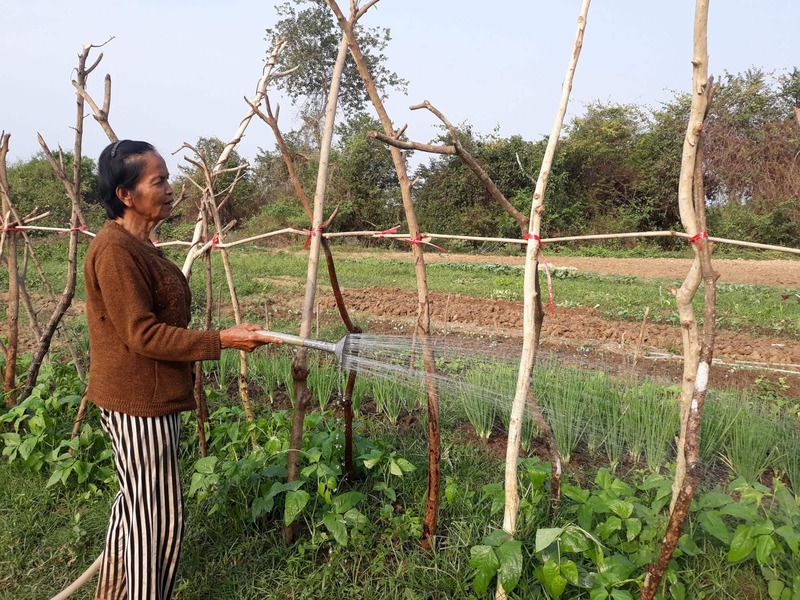 The smallholders in the target area around Battambang/Northern Cambodia are highly threatened by poverty and precarious food insecurity. This is espe- cially true during the dry season. Only 56 % of the families will have enough water, which in turn means that only 6 % of families have enough food to eat all year round. 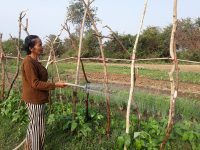 The daily work of our partner organization Bareebo with the small farmers has also shown that their diet has become very one-sided and unhealthy in contrast to the traditional diet. Deficiency symptoms can be observed especially in children. Often, this is simply due to a lack of knowledge of balanced, nutritious and varied food, and of course the lack of financial resources. In addition, countless chemicals end up in the fields and thus in the food chain. 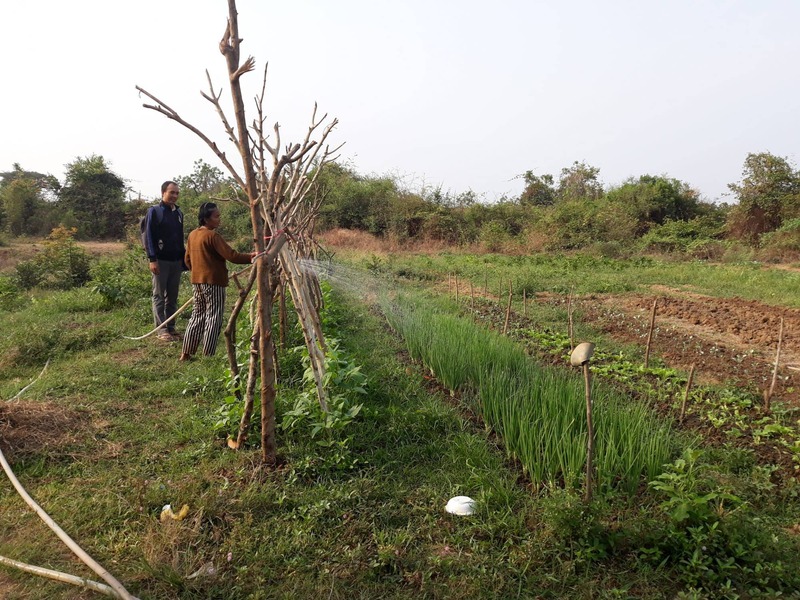 With sufficient water storage capacity to produce high quality organic products all year round, farmers in the target area would be well positioned to increase their incomes and improve their overall quality of life. 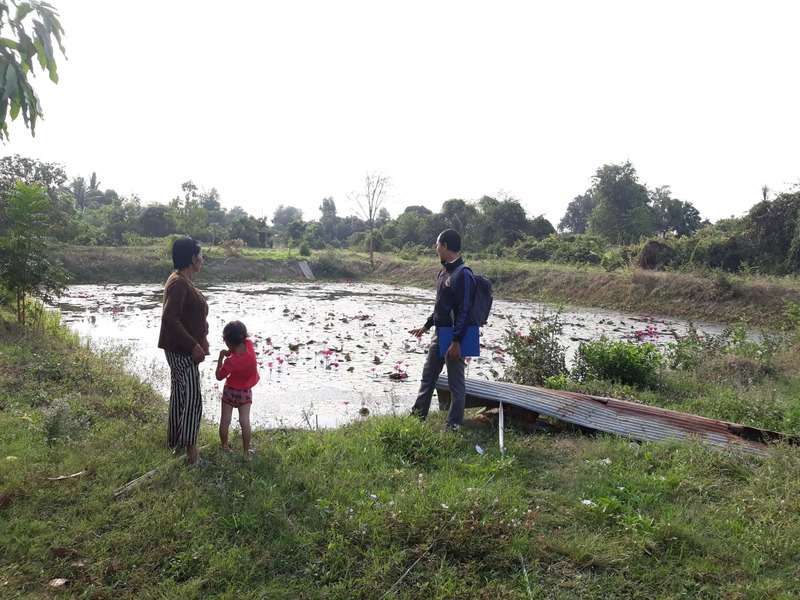 The project targets smallholders living in six villages in the Banan district of Battambang province in northwestern Cambodia. These smallholders account for 85% of the farmers in the target area. On average, they have less than five hectares of land. Of the 1,548 families living in the villages, around 100 families (approx. 550 persons) will benefit directly from the project. 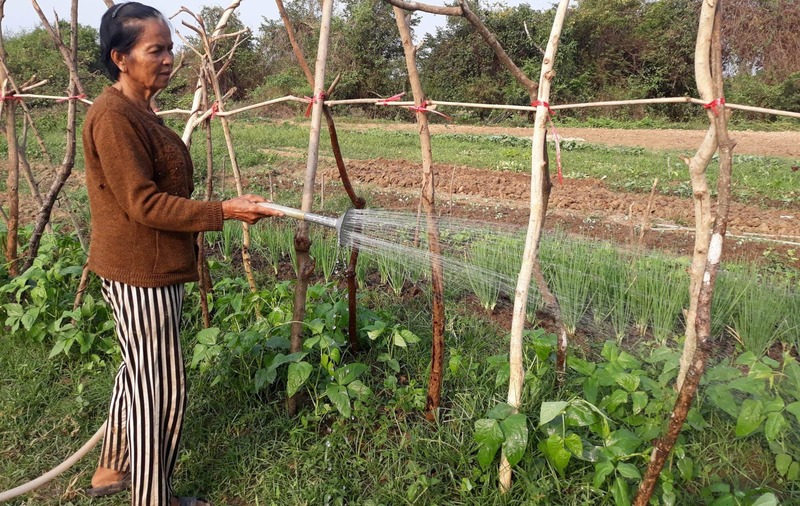 87 percent of these families say they grow vegetables, but only 2 percent of them can sell them on the market during the dry season. 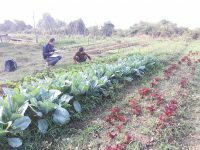 The income from their gardens amounts to only 13.86 Euros per year. The average household income per year is 906 Euros. Together with the Federal Ministry for Economic Cooperation and Development (BMZ) and “Water for the World” from Austria, we launched our new major PPG project in May 2016. Therefore, we dedicated the proceeds of the fundriding tour in December 2017 to this project. We dig up large ponds. They act as water reservoirs for farm animals and guarantee a year-round harvest cycle. 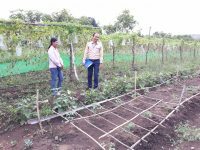 The raised topsoil is mostly distributed evenly on the sides and large areas of organic land are created. 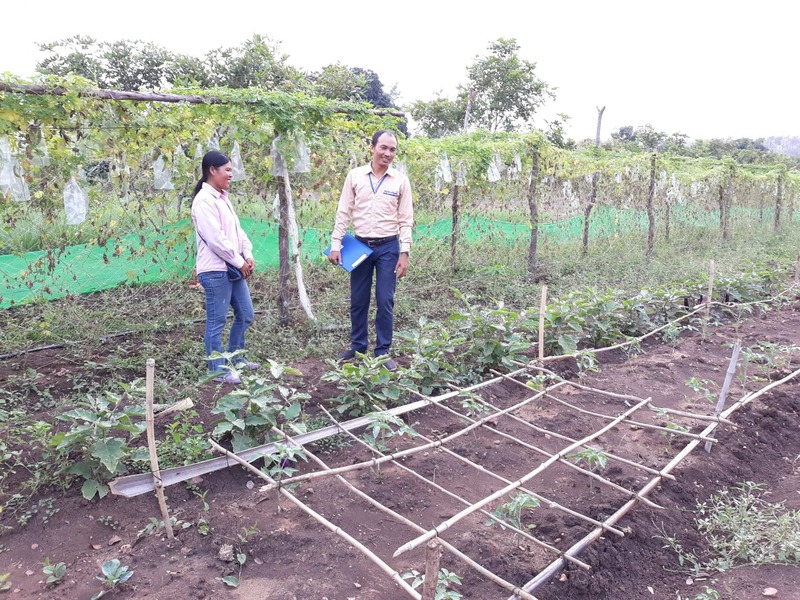 The farmers are prepared for their new tasks in special training sessions. 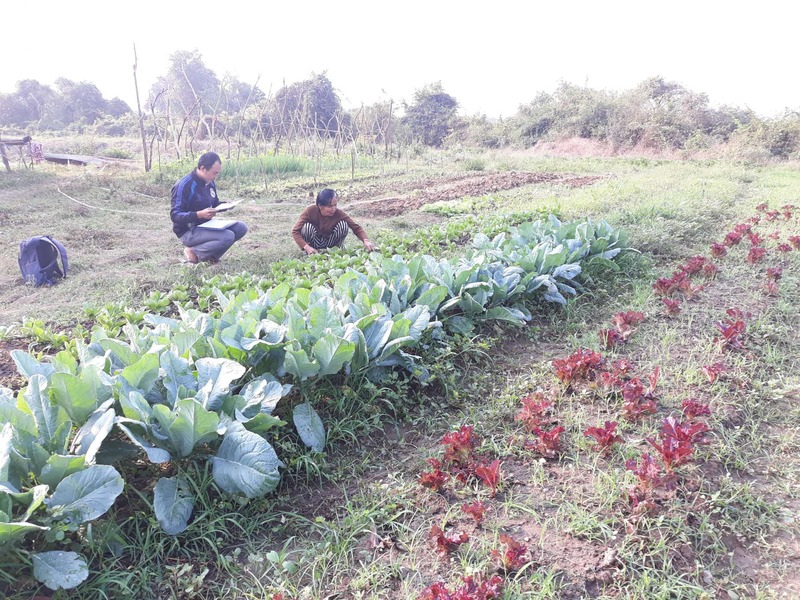 The surplus organic vegetables are bought by Bareebo at a fair and pre-determined price and sold at the organic market stall in Battambang or directly to the hotels. The surplus generated goes back proportionately to the village coffers, so that the villages become increasingly independent of the profit-oriented banks. In our map we have published 20 of 100 implemented PPG projects so far for you. Talk to us and become a development worker. We find / have a PPG project for you and we can help there together effectively, concretely and sustainably.